Investigation into torture of inmates by Russia’s Nizhnekamsk police complete | Russian Legal Information Agency (RAPSI). MOSCOW, December 13 (RAPSI) – Russian investigators have completed probe into a criminal case over torture of detainees by police officers of the Niznekamsk District of Tatarstan region, lawyer Bulat Mukhamedzhanov, who is representing the victims, has told RAPSI. The case is expected to be transferred to prosecutors after the defendants end examining it. 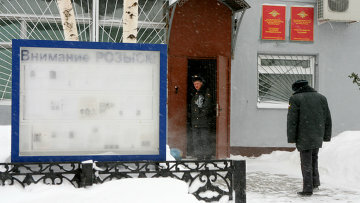 Police officers Rinat Akhmetshin, Gadel Rakhimov, Nail Mindubayev, Igor Filimonov and Mikhail Logachev, depending on their role are charged with abuse of office with use of violence, special equipment, causing grave harm to health, and conspiracy by a group of people to drive a person to suicide by threats, cruel treatment and systematic humiliation of human dignity. All five defendants are detained. The sixth defendant Ilnar Garipov is evading investigators and was put on a wanted list. According to investigators, in 2017, Rakhimov, Filinov and Mindubayev seeking to improve their crime solving statistics, tortured Ilnaz Pirkin into admitting guilt of 47 thefts that he was innocent of. In the end, cruel treatment drove Pirkin to suicide. The victim recorded his last word incriminating police on a mobile phone. Also, Akhmetshin and Logachev using threats forced two other victims in the case, Vladimir Timofeyev and Nikolay Udiryakov to admit guilt for Pirkin’s death. In November 2016, Akhmetshin, Logachev and Garipov forced detainee Ildar Kamaleyev to admit crimes he did not commit. Law enforcement officers hit the victim 20 times in various body parts including head and kidneys. 14:03 13/12/2018 Russian investigators have completed probe into a criminal case over torture of detainees by police officers of the Niznekamsk District of Tatarstan region, lawyer Bulat Mukhamedzhanov, who is representing the victims.